Moving beyond the borders is a daily routine in Europe today. Passies Removals even has specialized departments which are responsible for planning and carrying out moves within all European countries. And these are not only the countries that are already members of the European Union. Passies also regularly moves to and from all other European destinations. Naturally, after notifying us of your plans to move within Europe, you will receive a visit from the moving adviser. All details concerning the move will be discussed thoroughly. The adviser will also give attention to any conditions or formalities, and will inform you of the minutest details relating to the move to your destination. The transport of all the goods – directly from door to door – is carried out on the dates of your choice. In addition, Passies Removals knows the regular joint cargo routes with a frequency to and from virtually every destination in Europe. Throughout Europe, Passies has set up a network of its own offices and agents who work exclusively for the organization. This guarantees the utmost care of your goods everywhere in Europe! Please contact Passies Movers for more information about our residential moving services. For most people, moving is a fairly uncommon event. For the experts at Passies Removals, it’s their daily job. Passies Movers has many years experience with residental moving project, both national and international, and makes sure your move is hassle and stress free! And how does it work exactly? After your inquiry, the moving adviser comes to visit. Your personal wishes and demands are discussed. During this meeting, all the phases of the move are clearly and meticulously discussed. After the adviser’s visit, you will receive a detailed quotation. With Passies movers rour residential move is in the best hands, offering you a full-service moving solution. You can leave the disassembly and assembly of furniture, the packing of small and fragile objects, antiques and special objects, such as works of art, to the Passies specialists. Hanging garments are transported in special wardrobe boxes, wrinkle-free. Many people choose to pack small articles such as clothes, books and breakable items by themselves. 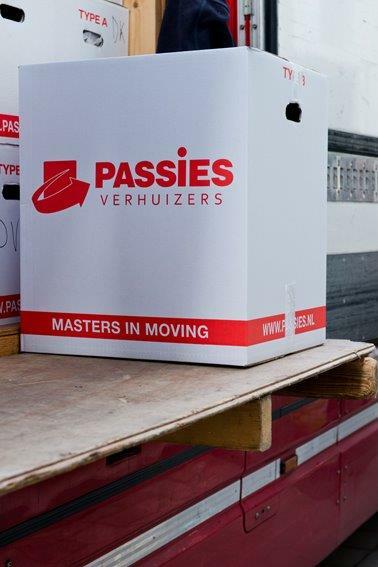 Passies is more than willing to assist you in loading, transporting en unloading of the boxes and furniture. Also, you can decide if you require the Passies’ movers to arrange the disassembling and mounting of your furniture. Please keep in mind that the packing of the smaller goods takes a fair amount of time. Our movers work with a pace that will save you time so you will feel at ease in your new home quickly.